zuuzs is hosting an exciting contest just in time for the holidays for one of the hottest must-have electronic gifts of the season- the Amazon Kindle Fire! Their Get Fired Up for the Holidays contest is designed to help you grow your Circle of Friendzs on zuuzs and give you a chance to enter for two amazing prizes! In addition, new zuuzs members who sign up as a result of participating bloggers during the contest period can win a Kindle Fire, selected by random draw. So that is TWO Kindle Fires being given away- one for the blogger who has the most zuuzs member referrals and another to a random zuuzs member! Publish a blog post between November 1 to 15 about zuuzs.com and this contest and encourage your readers to sign up through your personal zuuzs URL. 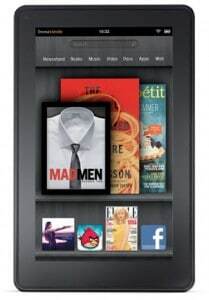 When your readers register they are entered into a draw for a Kindle Fire. Visit zuuzs and register today if you haven’t already. Bloggers who are already members of zuuzs are eligible, as well as those who sign up as new members during the contest period. “Get Fired Up for the Holidays” runs November 1-15, 2011 so get that post up, send the link to [email protected] and get yourself and your readers fired up to win! Good luck everyone! Last Day to Enter zuuzs Halloween Giveaway for $200! Thanks! I’m new to blogging ! Thanks for posting this. I clicked the link,but there was no affiliate link,so how will you get credit?